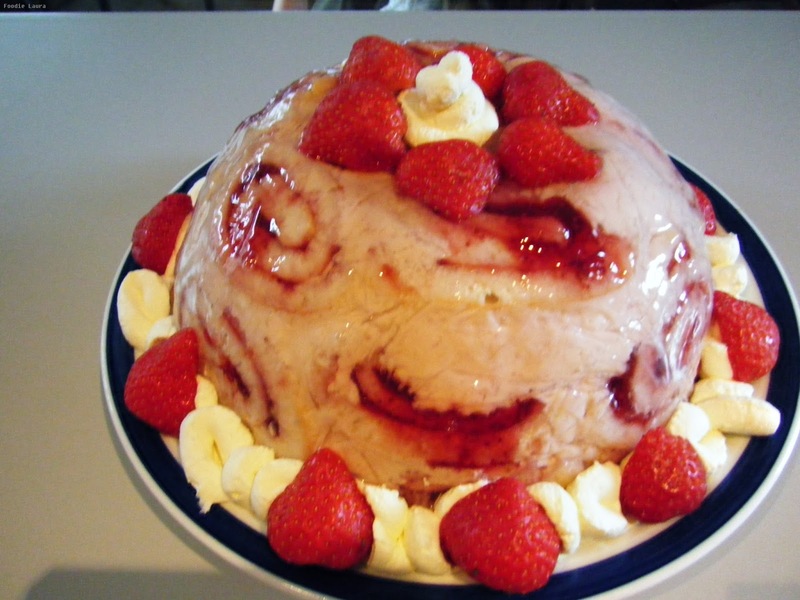 Ah lovely Bake Off, it has been a pleasure to watch this series on a Tuesday evening, it's been one of the very few shows I watch when it airs because Twitter and the blogsphere has been so filled with #GBBO news there was very little chance of not stumbling into a spoiler if I didn't watch live. I think Frances was a very worthy winner and she was one of the finalists I picked out way back in week one. Her bakes were always so beautiful and her final showstopper wedding cake with rhubarb and pineapple flowers was so stunning the other wedding cakes just didn't compare. I'm looking forward to seeing more from Frances. 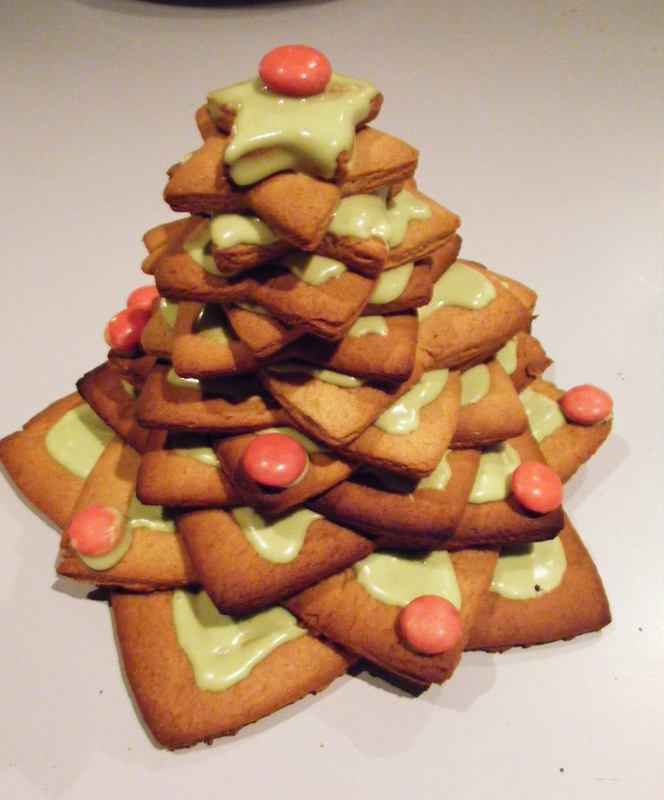 Other winners have published very accessible cookbooks, I do hope she gets the opportunity to showcase her very intricate designs. This weekend instead of baking we've decided to go out for dinner so I thought I'd do a quick round up of all the Great British Bake alongs we've done. 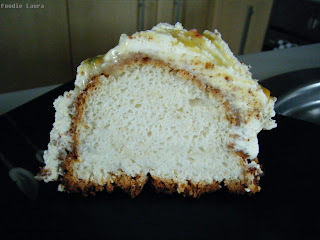 Week One was Angel cake. We invested in a new pan for this one but it wasn't the right shape and the cake stuck. Week Two was a quad plaited loaf. You didn't get a full blog post on this. 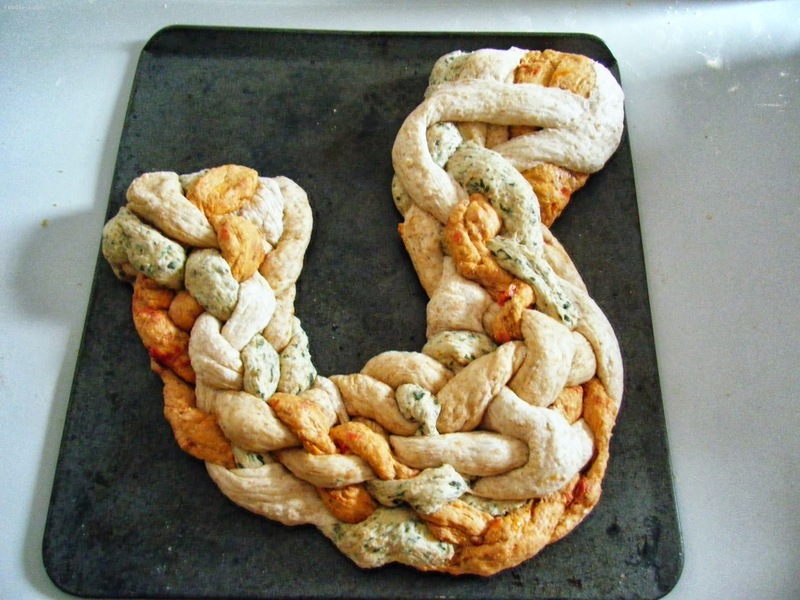 It turned out a bit misshapen. 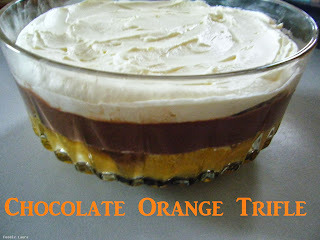 Week Three was a double eviction on the show and we made chocolate orange trifle. 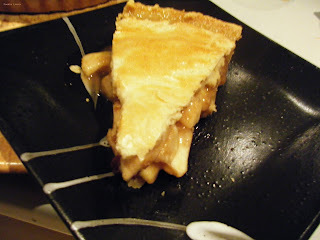 Week Four was a classic apple pie with a rum soaked twist. Week five was biscuit towers, we went with a gingerbread tree a Christmas favourite. 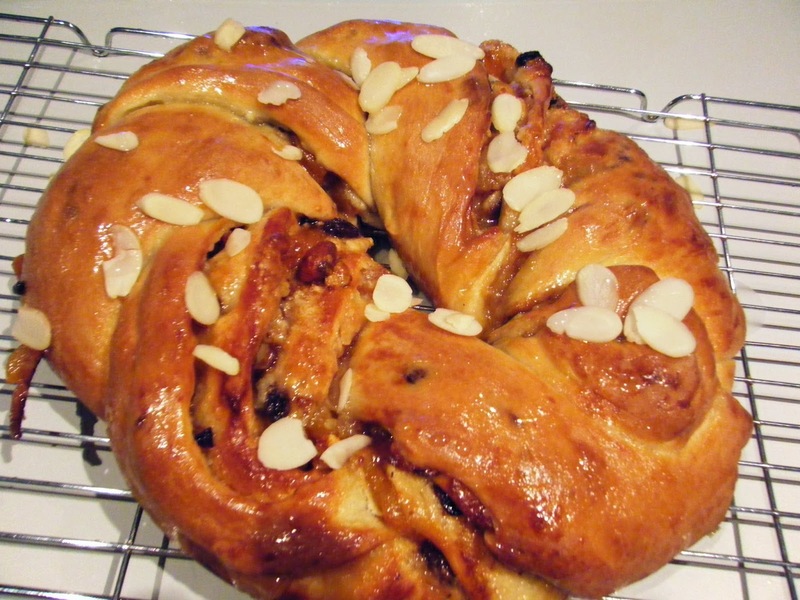 Week six was all about the sweet loaves and Trevor made this spectacular apricot couronne. 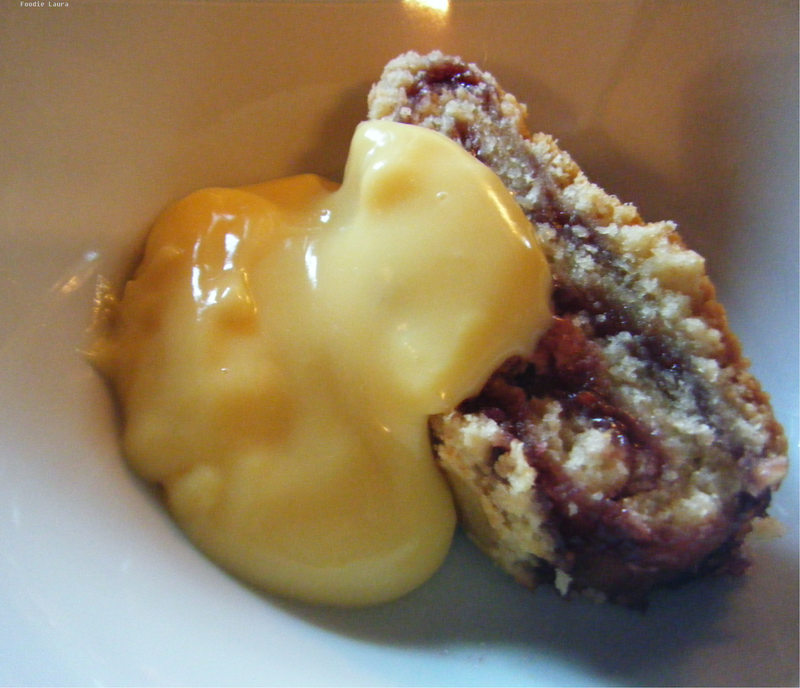 Week seven was suet puddings, we just had to make jam rolly polly and custard. Week eight was a layered hazelnut meringue called a dacquoise. 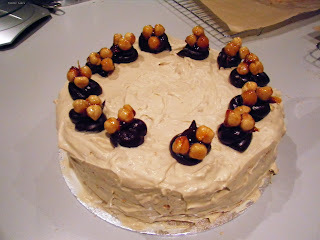 This one took a lot of work, it tasted even better than it looks and I have to say it looks fairly spectacular. Week nine was the semi finals and it was Charlotte Royals all round. I can't thank Trevor enough for all his help with this mammoth baking challenge, it's been a pleasure baking along together. We will certainly be doing it all again next year!